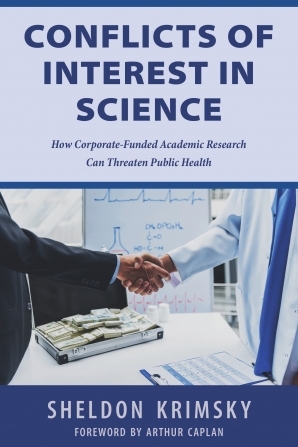 In Conflicts of Interest Within Science, author Sheldon Krimsky compiles 21 peer-reviewed, academic articles that examine the complex relationship between the individual scientists conducting research and the groups who fund them. Ultimately, Krimsky's call to action concerns a collective movement among authors, peer reviewers, corporations and journal editors to disclose the sources of their funding. By holding scientists and the groups that fund them more accountable through increased transparency, we as a society can begin to rebuild trust in the integrity of knowledge.